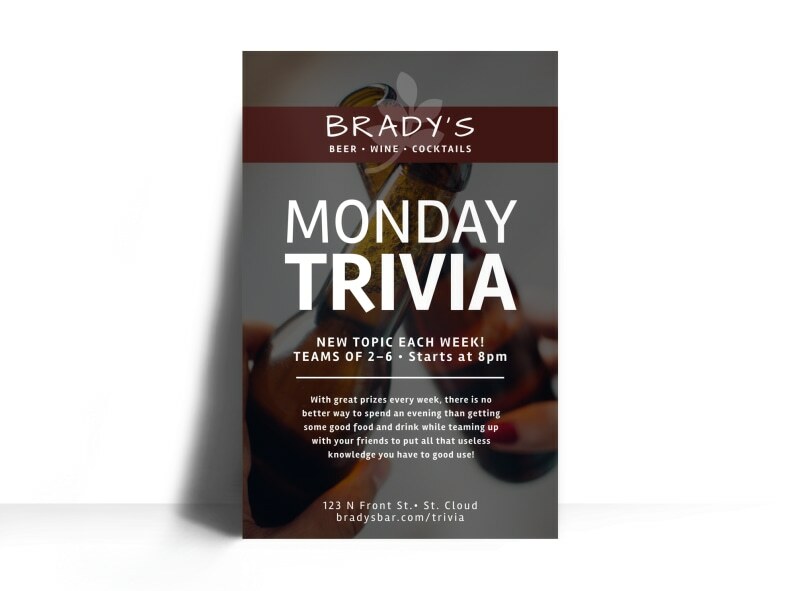 Customize our Monday Trivia Bar Poster Template and more! 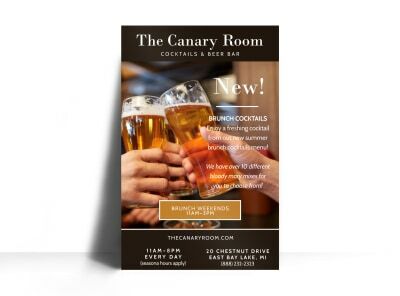 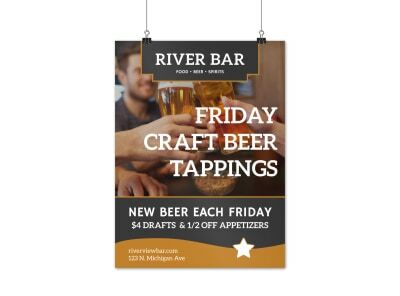 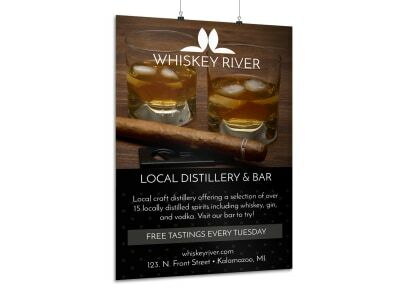 Announce an upcoming trivia night or other event with this handsome poster to promote your bar or other business. 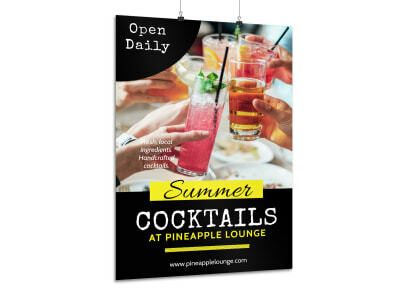 Bring your poster to life with details about trivia night, graphics to draw instant attention to your event, and more. 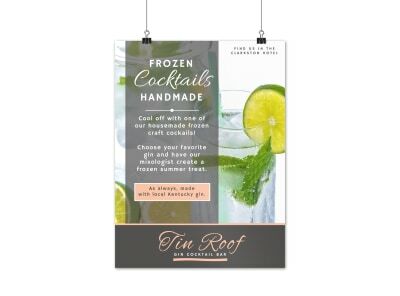 Get busy on your design now, and opt for self-printing to get it ready for display fast!